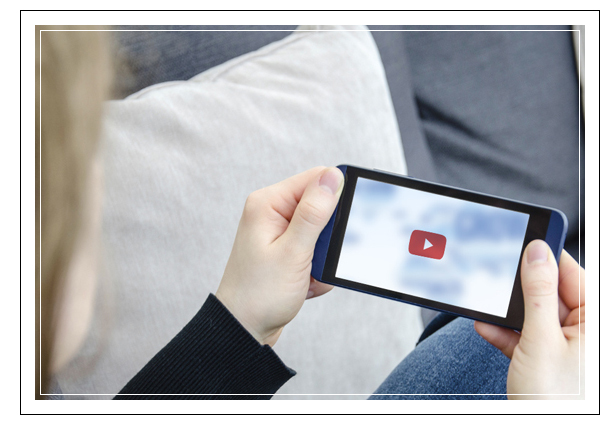 Businesses today should consider video a key component of a strategic content marketing plan. In January 2017, 78 percent of internet users in the U.S. watched online video content. It is a vehicle that immediately communicates a sense of what it is like to work with or for the company, the culture that surrounds the company, and team members and collaboration at the company. All of these factors contribute to a viewer's decision to buy services and products, to consider employment opportunities, or to make a referral. Included here are key factors to consider for brand consistency as you invest time, resources and a team’s creative energy into producing marketing video content. There are reasons that elevator pitches are effective. They provide us with a tool to convey important messages in the short time frame where we have a person’s undivided attention. This recent blog on the limits of our attention span touches on the importance of tailoring experiences to a distracted population. Undivided attention for an elevator pitch is an infrequent, but fortunate, opportunity. Undivided attention while watching and listening to a video is more rare. We can’t control the distractions that may happen while someone is viewing. Since we are not in the room with the viewer, they can easily turn away or ignore us without the fear of being perceived as rude. For these reasons, videos developed for content marketing purposes should run no longer than 60 seconds. If a one minute video can’t communicate everything necessary to educate and inform your audience, make a series of videos on one topic. In certain circumstances – such as a 20th anniversary video that includes highlights from an organization’s history and profiles of key leadership – it is appropriate to extend the length of a video. For about us, how-it-works and specialization content, select a single theme with a single message and focus on only that in one video. For example, a video highlighting a team member's expertise in state and local tax issues shouldn’t distract from the theme with other unrelated accomplishments or expertise. The atmosphere in video across the web is wide and varied. The atmosphere in a company video should demonstrate a tone and personality that is consistent with the brand through other marketing vehicles. In making decisions for setting a mood, ensure that they align with the company’s positioning statements, key messages and brand strategy. Mood and atmosphere are often overlooked in a company video, especially with the low quality production tools available to the general public, but they are very important to get right. Incorrectly aligning the tone of a video and a brand can set a company back in its overall marketing efforts rather than move it forward. On occasion, an individual facing the camera and speaking to the viewer (a talking head) may be necessary, but strongly consider a different point-of-view. A law firm promoting their energy practice attorneys may convey a better experience of their brand story if beautiful footage of energy sources is shown on screen with a voice-over, versus an office interior with a talking head. Abstracted video concepts like this one convey emotion, a sense of culture, and a personality. Most importantly, they are exciting to watch. All video produced for business with the objective of building credibility, describing products and services, or reinforcing trust can benefit from thinking cinematically before filming begins. A first-rate video production company will assist with concepts and recommendations, scripting, securing voice-over talent and providing a mix of camera options such as wide pans, time-lapse and multiple angle options. Video is a vital vehicle that will amplify a brand and provide reinforcement in a multi-channel marketing mix. Strategically shaping the POV, mood, tone and theme will produce a marketing video that aligns with and reflects the perception you wish to maintain.